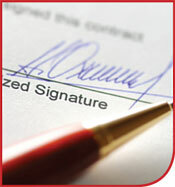 This course deals with the drafting of contractual agreements. The course will teach the students the “building block” components that make up a contract and how each component of the contract is drafted. The students will have a “behind the scenes” look at the conversations and negotiations that take place prior to getting to the drafting stage, and what happens during and after the drafting stage. This course will also teach the students how to draft in simple terms so that the contract is easy to read. The students will learn how to simplify complex sentences, agreements, and statutes into plain English. Some of the most basic grammar principles will also be refreshed in this course. Reviewing a contract that has already been drafted and spot areas that need to be added to, removed, corrected, etc.